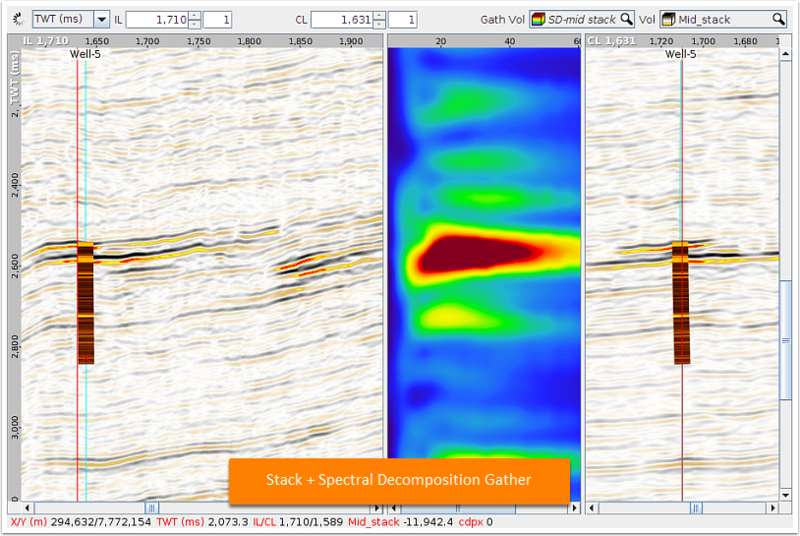 DUG Insight User ManualFrequently Asked QuestionsFrequently Asked Questions WorkflowsHow to estimate seismic bandwidth using spectral decomposition? 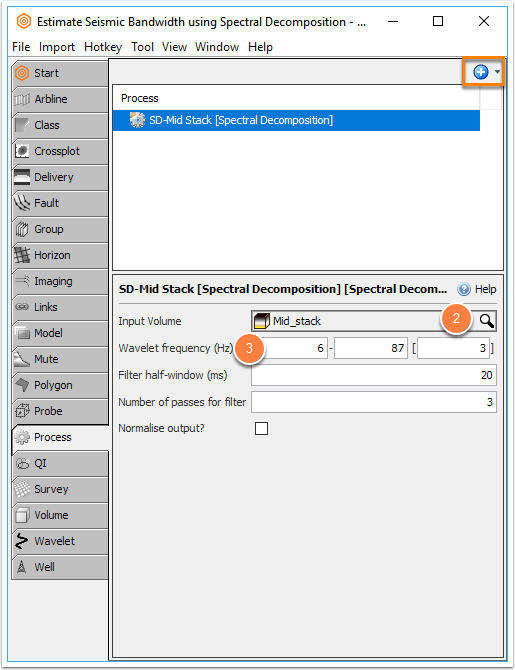 Click the Process tab, click the blue "+" button and add a Spectral Decomposition process. 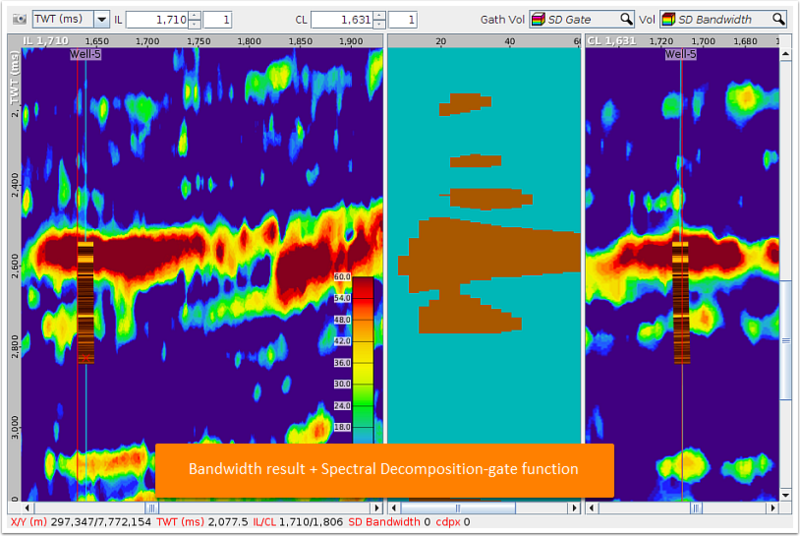 Pay attention to the Spectral Decomposition frequency interval, it's needed for the last step. 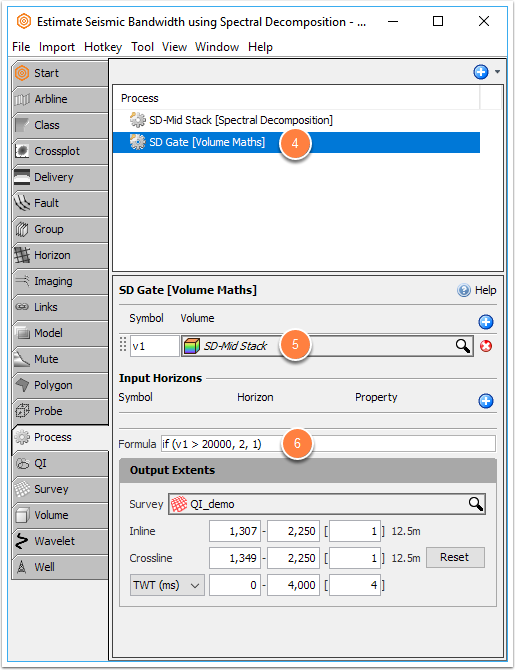 Apply a gate / threshold function to specify the minimum amplitude to qualify for inclusion. Click the blue "+" button and add a Volume Maths process. In the details panel, add a symbol and select the result from the previous process. Tune this threshold to adjust your results. This example uses 20,000, but it will vary depending on your spectral decomposition amplitudes. Note: The gate uses values of 1 & 2 to avoid creating "missing values" in the stacking. 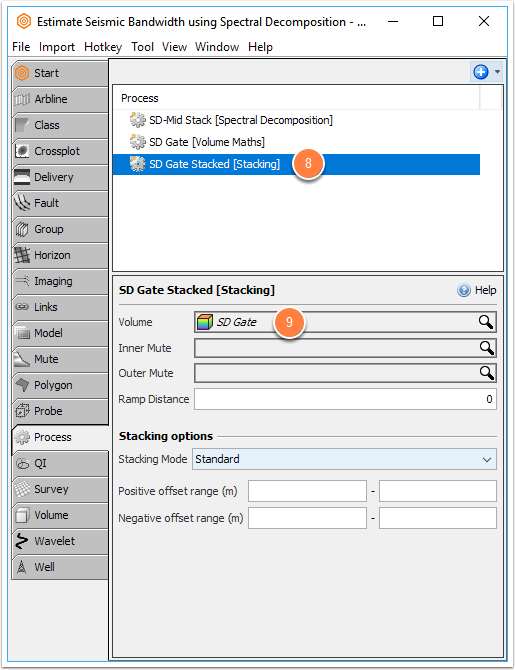 Stack the gated result (in effect counting the number of frequencies above the threshold). Click the blue "+" button and add a Stacking process. 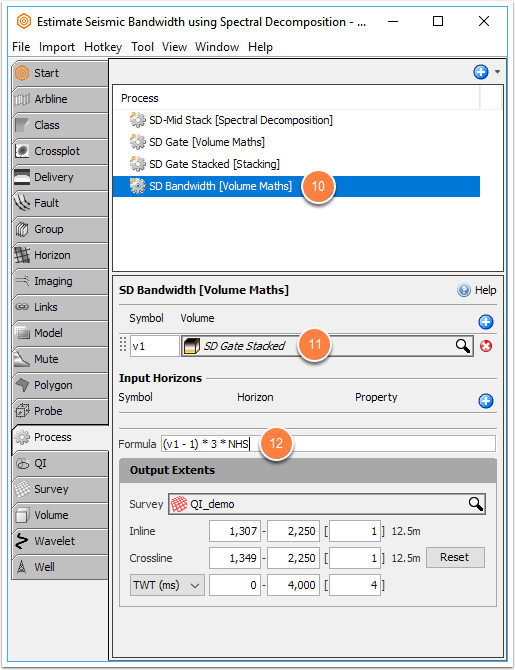 In the details panel, select the result from the previous Volume Maths process in the volume search box. Rescale the stack by the number of stacked traces (NHS trace header) and the frequency interval from step 1. This gives the bandwidth estimate. In the details panel, add a symbol and select the result from the Stacking process. Note: A constant 1 value is subtracted from the stack to account for the 1-2 range of the gate. For this example, the value 3 is the frequency interval from step 1. Prev: How do I create a 3D Chair? Next: How do I reverse the CDP to X/Y relationship for a seismic line?